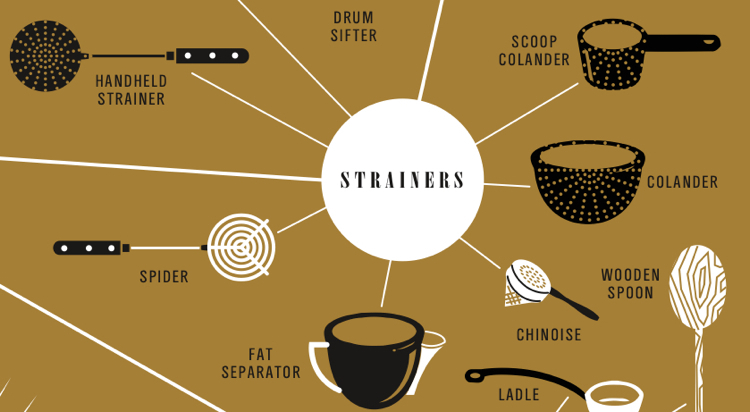 What’s impressive here isn’t the presence of exotic kitchen implements — a spider, for the record, is a type of strainer — it’s the sheer amount of gear out there. And the poster doesn’t even begin to cover pots and bakeware. It’s enough to make a culinary neophyte long for the pre-historic days of flint wedges and goat-horn spoons. Does Williams-Sonoma sell those, too? Buy the poster on pre-order for $20 here. 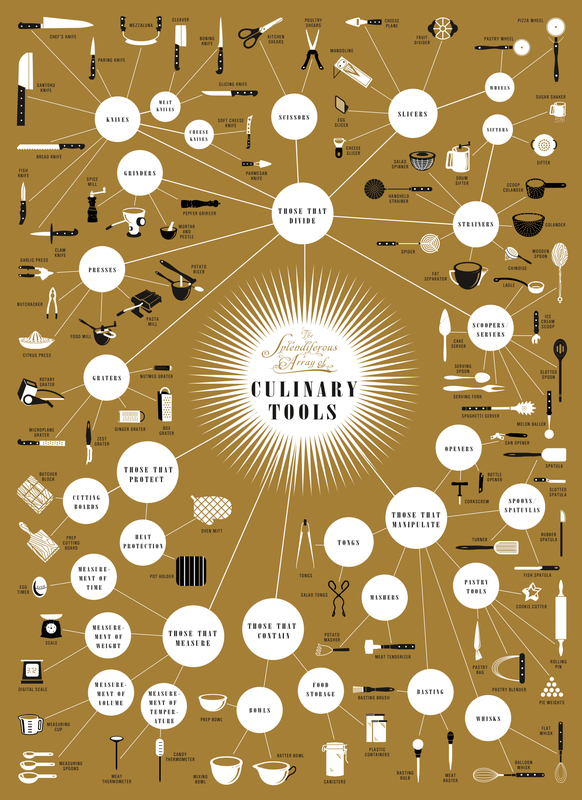 And for more excellent infographics by Pop Chart Lab, go here and here.